School Dance Safety: Who’s Driving Your Seattle Prom Limo? The City of Mercer Island called me last week and together we put together an outline of what parents should look for in a limousine company in order to be confident that drinking in the limousine will not be allowed. Whenever minors are going to be in one of our limousines without a guardian, a parent must fill out and sign our Parental Consent Form. As one precaution, the center divider will be locked in the down position so that the chauffeur has direct contact with the passengers at all times. Mercer Island will be putting together a pamphlet outlining our suggestions shortly. 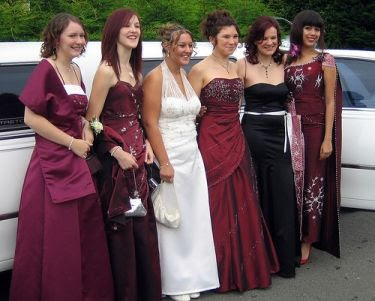 To get an idea of the pamphlet content, read our Seattle Prom Limo blog post about how to protect yourself and your children from a bad experience. This entry was posted on Thursday, March 18th, 2010 at 8:00 am	and is filed under School Dance. You can follow any responses to this entry through the RSS 2.0 feed. You can leave a response, or trackback from your own site. WordPress generated this page with 35 queries, in 0.435 seconds.